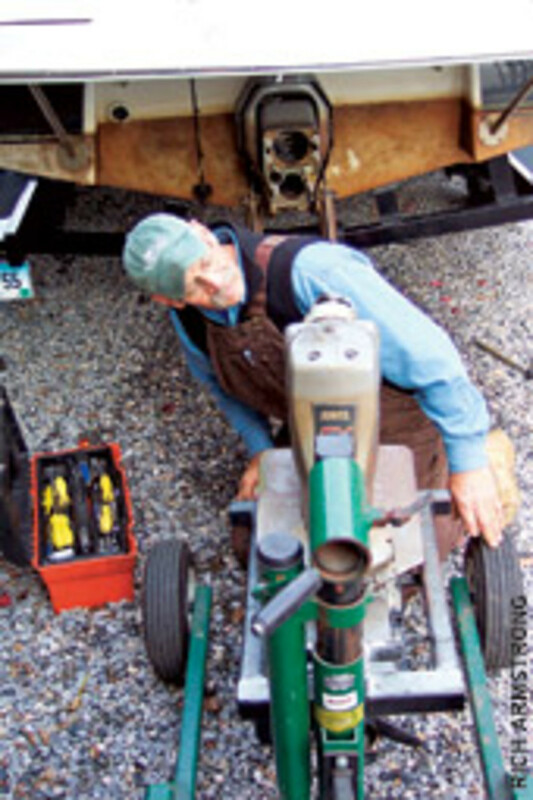 The cruiser had twin 5.7-liter engines, and the Connecticut boat owner had gotten friends to help him winterize it. The men did a lot of things right, says marine mechanic Erik Klockars, but they made a catastrophic error. They used plenty of antifreeze, but they didn’t realize that the thermostats in the raw water-cooled engines were preventing the circulation of the antifreeze through the blocks and heads. Water sat in the blocks during the winter and froze. 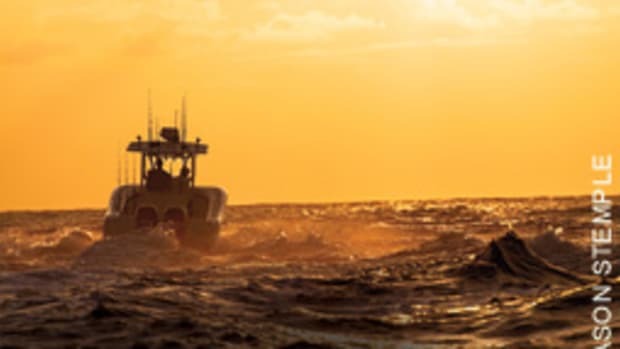 When the owner fired up the boat for a prospective buyer in the spring, water spilled out of 6-inch cracks in the engine blocks, says Klockars, who was involved as a surveyor. “That sale fell through,” he says, and the owner spent $15,000 to have two new blocks installed. 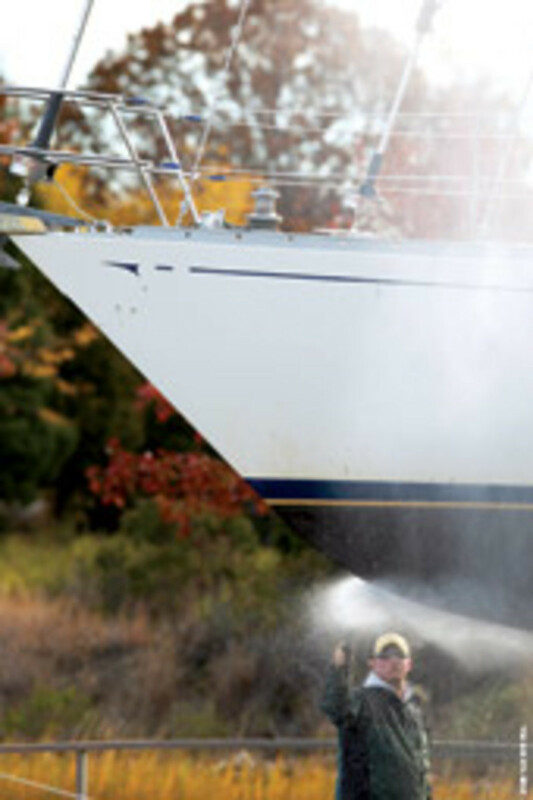 Boaters who want to do their own winterizing can take a lesson from the owner’s misfortune. “When it comes to the engine, you need to know what you’re doing,” Klockars says.That doesn’t mean you have to be a longtime mechanic such as Klockars, who has nearly 34 years of experience. (He also is a technical consultant for Soundings.) A check of the owner’s manual would have prevented the mistake involving the cruiser, he says. The men should have drained the water from the engine blocks before they pumped in the antifreeze. Klockars advises boaters who do their own winterizing to focus on four things: fuel, freezing, movement and the hull. Klockars also recommends changing the fuel filters. “I don’t want any dirt or moisture sitting in the fuel during the winter,” he says. But how much gasoline should owners leave in tanks? The question remains vexing, and it arises because of the ethanol in gas. Ethanol draws moisture, so water can build up in the tank and fuel system. And, as a solvent, ethanol can dissolve deposits in the tank or fuel lines. That debris can reach the engine. Some experts advise filling the gas tank to prevent condensation. Others suggest draining it so there’s no ethanol to cause a problem. Klockars advises against filling the tank. 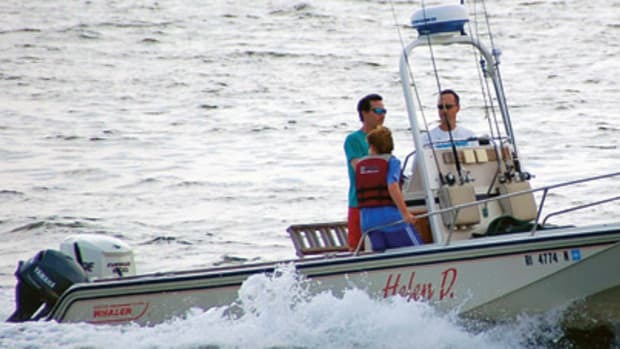 He says that strategy runs counter to what boaters are told during the summer: Fuel up before taking the boat out rather than afterward because gas deteriorates quickly and should be used without delay. He tells customers to empty the tank as much as possible before winter. 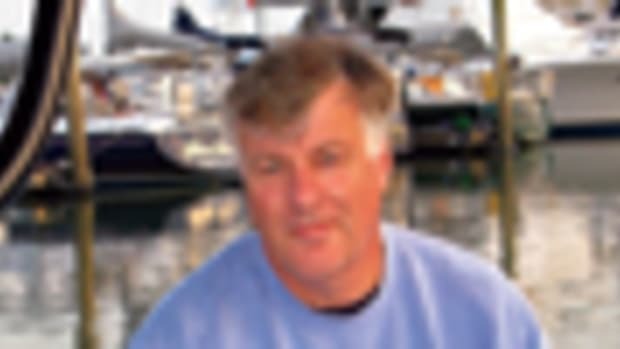 Klockars says owners of diesel boats should leave their tanks about seven-eighths full to allow for expansion when the weather warms in the spring. “We want to make sure that nothing in the boat wants to freeze,” Klockars says. He starts with the freshwater system, turning on the pump and draining the main water tank. When the tank is empty, it’s time to pour in non-toxic antifreeze and start opening the faucets, he says. Run the pump until antifreeze comes out of the hot and cold water sides of the faucets. Winterizing the air conditioning system is simple, Klockars says. 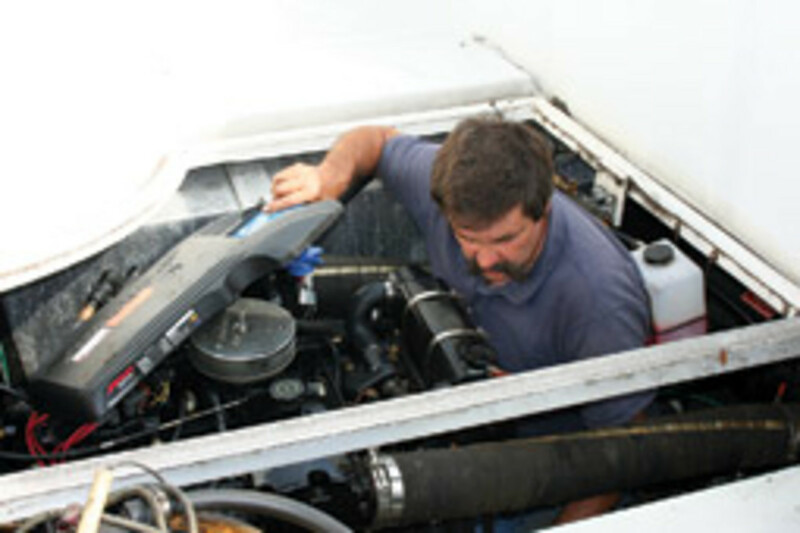 Remove the seacock hose, use a funnel to pour in the antifreeze, turn on the air conditioner and wait until the antifreeze pours out the side of the boat. If the boat has raw-water intakes for washdowns or bait wells, the procedure is the same, Klockars says. Remove the hose, insert the antifreeze and wait until it flows out the other end. He advises owners whose engines (inboard or I/O) have a closed cooling system to check the antifreeze for the right degree of protection. 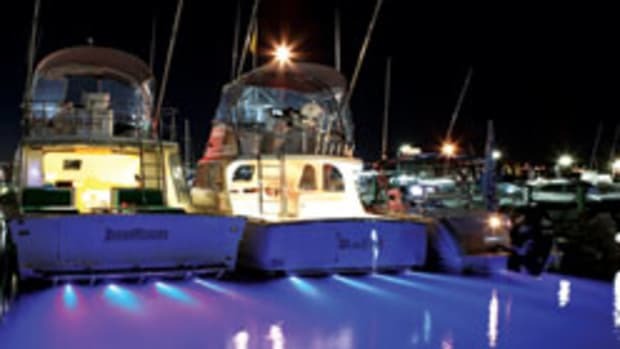 There are four types of outboards: carbureted or fuel-injected 2-strokes and carbureted or fuel-injected 4-strokes. Klockars says carbureted 2-strokes require that a treatment be run through the carburetor. Then fogging oil should be sprayed into it, he says. Klockars says 4-strokes are winterized with a fuel treatment that goes through the system and lubricates, for example, the top of the pistons and the cylinders, and the injectors. Klockars also advises spraying the outside of the engine with a water dispersement such as CRC 6-56, which he uses. “Just make sure you don’t hit the belts or pulleys,” he says. Some boaters like to wax the hull in the fall. Klockars says it’s purely a personal preference. “What I tell my customers is that if you’re going to wax it, wax and clean the boat so there’s no dirt, there’s nothing that’ll stain or clog up through-hulls or drains during the winter,” he says. If possible, he advises, open drawers, cabinetry, even the refrigerator so air can circulate to prevent mold. And be sure to remove the drain plug so any water that gets into the boat is allowed to run out. Boaters who live in states where boats are run year-round need to pay attention to the number of hours they are operating, Klockars says. 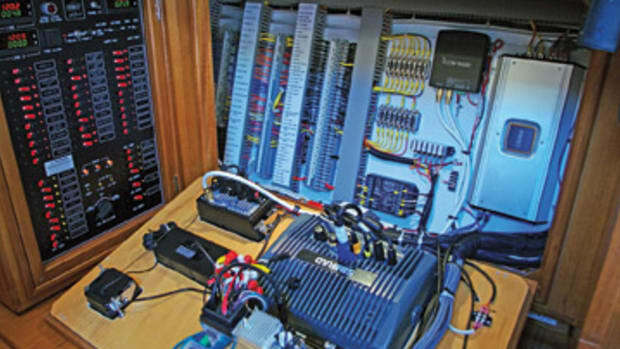 “That’s where your service manual comes in really handy in terms of what your service increments are supposed to be,” he says. 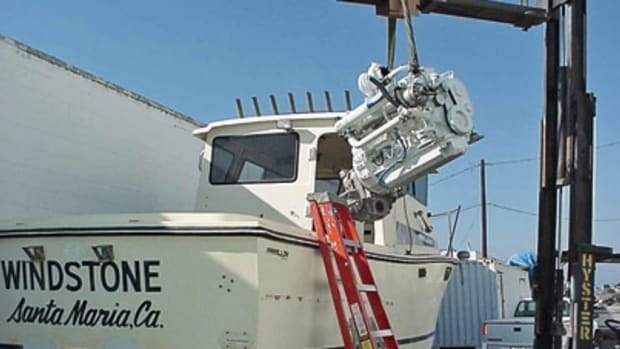 Warm-weather boaters who decide to store a boat for several months don’t need to use antifreeze, of course, but they have to be sure to flush the water system, he says. There is a lot at stake when a boat is winterized, Klockars says. Serious mistakes, such as the one the Connecticut men made with the cruiser, can cost thousands of dollars to correct. But he says the winterization process is essentially simple and has goals that are easy to define and pursue.